Charming 3 bedroom, 2 bath duplex in the heart of Sunnyside! East-facing home gets great natural sunlight with double-pane windows and a sliding glass door to the side patio. Move in ready, updated with new premium carpet and paint throughout. Master bedroom has a full bath ensuite and walk-in closet. Outdoors, enjoy the covered front porch and side patio area perfect for entertaining. The yard includes programmable sprinkler system for ease of maintenance. Ideally situated between downtown and the Highlands, the neighborhood is undergoing exciting and rapid redevelopment. Walk to local restaurants, brewpubs, fitness options, and bike trail connections. Leevers Locavore marketplace will be opening in the spring. Zia Denver, a trendy new mixed use development will be 1 block away, (summer 2020) will include fresh dining and coffee options. 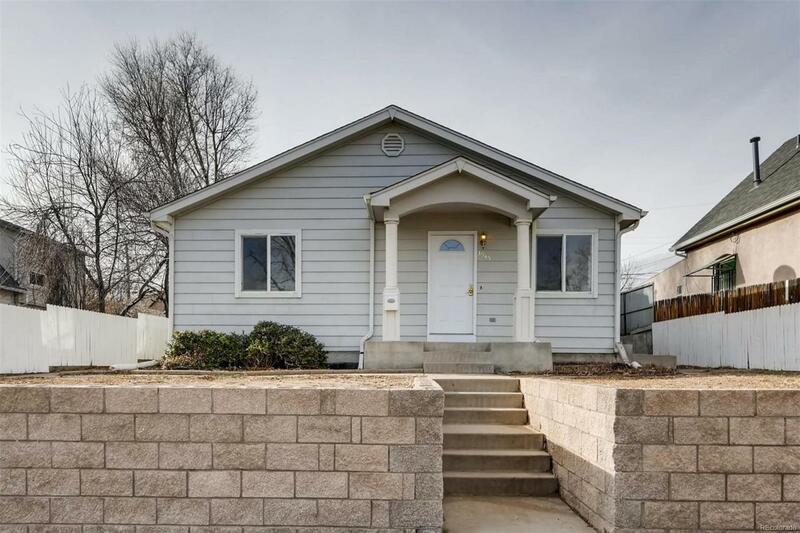 This commuter friendly home is just minutes to I-25 and I-70, 38th / Park Avenue. Walk 5 minutes to the 41st and Fox Street light rail station.